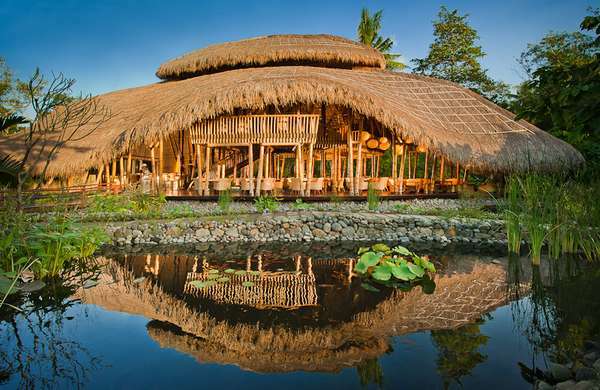 Behind an antique village tucked amidst rice fields lies Fivelements Bali. Instead of a traditional luxury hotel, Fivelements, Puri Ahimsa, offers private little villas themed after — you guessed it — the five elements. 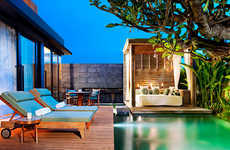 Everything at Fivelements Bali is designed to be in harmony with the natural environment. 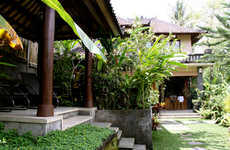 The property is covered in lush plants, walkways that stretch elegantly over fish-filled ponds, and a series of Balinese-style huts that house guests, act as healing centers, yoga shalas, and as meditation pavilions. 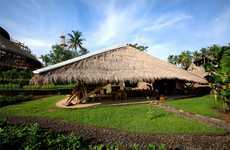 The tallest structure on the Fivelements Bali grounds is the two-story open-air restaurant, the Sakti Dining Room. The vegan food, which is mostly raw, is presented as if each dish and beverage will be photographed for an international culinary magazine. 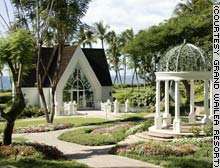 The element-themed rooms have beds cloaked by cascading mosquito screens, outdoor bathrooms that include showers surrounded by flower-covered stone walls and pebbles instead of tiles, and big-stone bathtubs with color-changing lights. 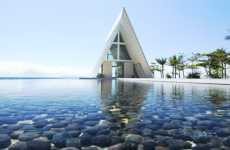 The healing center brings a grassroots feel to the luxury, as it not only offers pampering, but esoteric treatments from authentic Balians who facilitate sacred healings.